We have an estimated 30,000 stray dogs on the streets of Tangier alone, with an estimated 3 million in Morocco as a whole. Project Hayat, meaning 'LIFE' is our solution. Every year in Morocco, thousands of dogs are tragically killed through fear of rabies, and as an attempt to control the population of strays. We know there is only one solution. And that is to TNVT – Treat, Neuter, Vaccinate & Tag (also known as TNR). The only way to control the population of the strays is to Neuter. The only way to eradicate diseases is to Treat and Vaccinate. Project Hayat is changing mindsets. 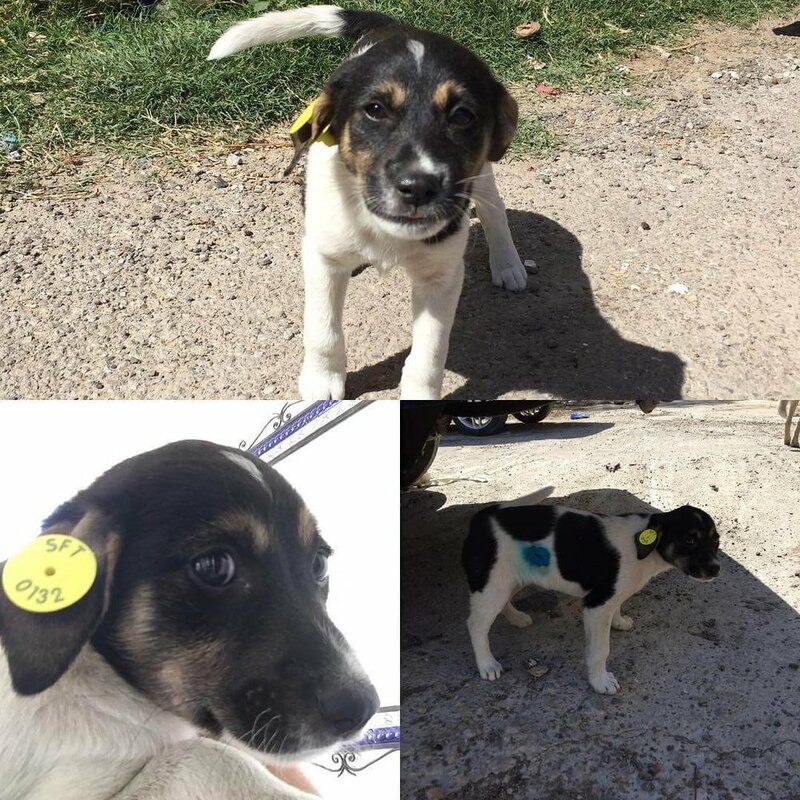 After our strays have been Treated, Neutered and Vaccinated, they are identified with a yellow Tag. This means both the authorities and the public know that they are not a danger to the community. One of the most important parts of Project Hayat is the community of Tangier. Without them, we are fighting a losing battle. We are on a mission to work with the community to change attitudes towards the stray population. To show them that every life is precious, through education, compassion and being an example to follow. We are beginning to see real change. With members of the community taking on a duty of care towards the animals in their neighbourhoods and even becoming guardians. We are also immensely grateful to the Mayor of Tangier for his ongoing support and 100% commitment for Project Hayat. I just had a very positive meeting with the Mayor of Tangier. I explained our #TNVT dogs must be accepted by the community. He totally agreed. 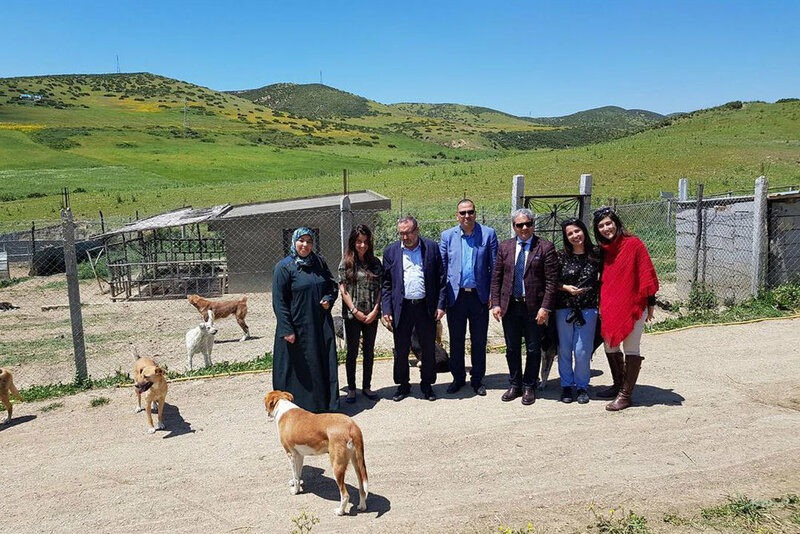 Today the Mayor of Tangier, honourable Mohamed Bachir Abdellaoui, and part of his team came to visit the sanctuary. They were very impressed!!! SFT is magical. We have amazing animals. 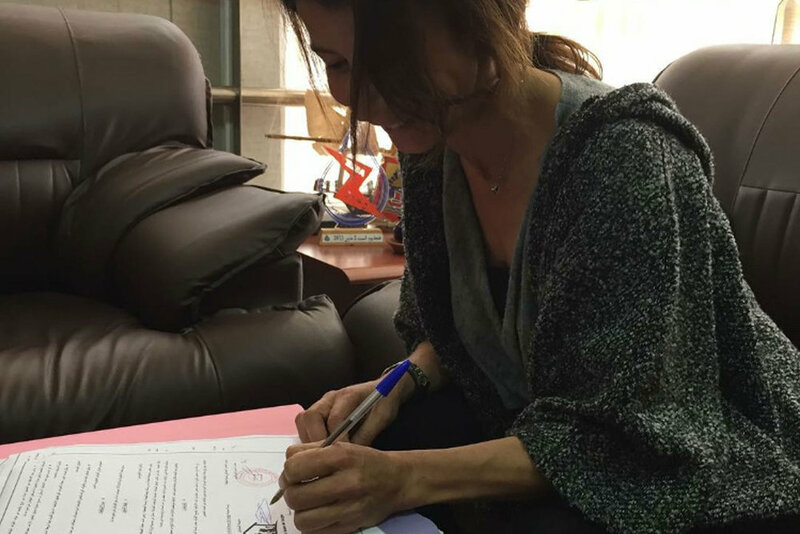 Sally signing an agreement with the Mayor of Tangier to protect our strays. We are very grateful to the local fire service for helping us to rescue our precious Drainy (a dog that had been trapped down a drain for months). We are proud to say that since launching the project in 2017, we have managed to TNVT 740 dogs and 300 cats. 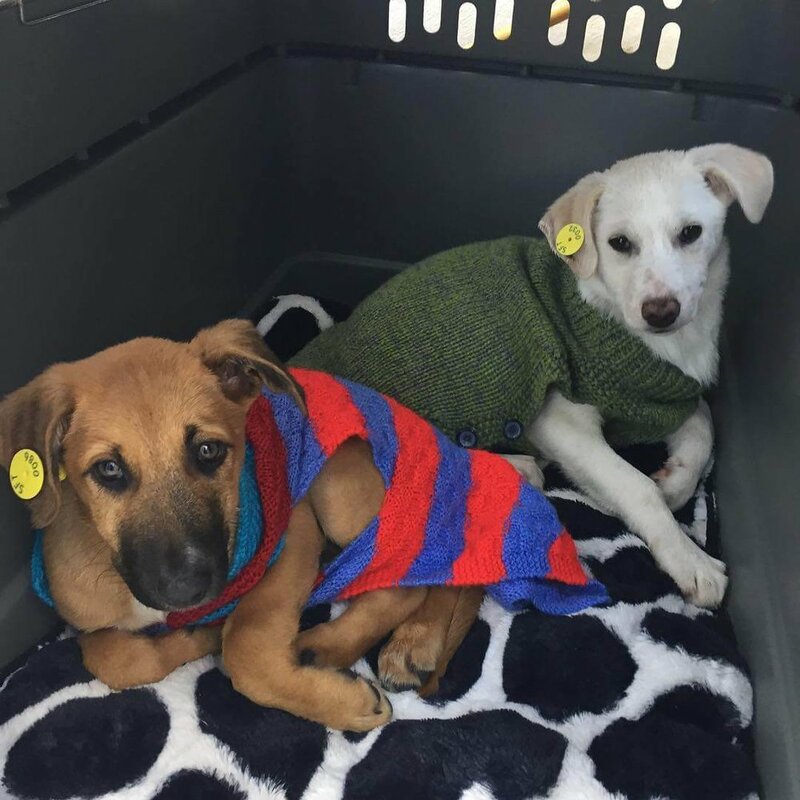 Our hope is for a future where there are no strays on the streets of Tangier. If you are based in Morocco and would like more information about Project Hayat, you can follow along on our Facebook page. Below are some of our lovely strays that are part of the TNVT programme. As well as making huge progress in our community, we have also been recognised around the world for our hard work and dedication to our mission. After visiting the sanctuary in 2017, Dutch political group 'Party for the Animals' invited Sally to give a presentation at their global conference in Madrid. Speaker Sally Kadaoui from SFT - Le Sanctuaire de la Faune de Tanger in Morocco – "The humans are stupid to think that the Earth somehow belongs to them. Earth belongs to all of us, not only humans. We all have the duty of care." Beautiful words from a person who has devoted her life to helping animals in need and engaging with local communities. It's World Animal Day! Each year on this day, the global animal protection movement raises awareness to make the world a better place for all animals. During our conference last weekend, we brought together animal protectors from 20 different countries, to learn and support one another, with the aim to make a positive change for animals. The conference aims to raise awareness of animal welfare through politics and the implementation of amazing initiatives throughout the world. Sally received a wonderful reception for her presentation, which you can download here. You can also find out more about 'Party for the animals' by visiting their website or by following them on Facebook or Twitter. In 2018 the Global Alliance for Rabies Control nominated us for 2 awards — Individual (Miss Salima Kadaoui) & ‘Meracon (Middle East, Eastern Europe, Central Asia and North Africa) for our work in the fight against rabies. You can find out more about them here. We are very happy to say that we were awarded the Meracon award! This award means so much, it recognises the vital work we are doing, supporting our mission to make Tangier the first rabies free city in Africa. 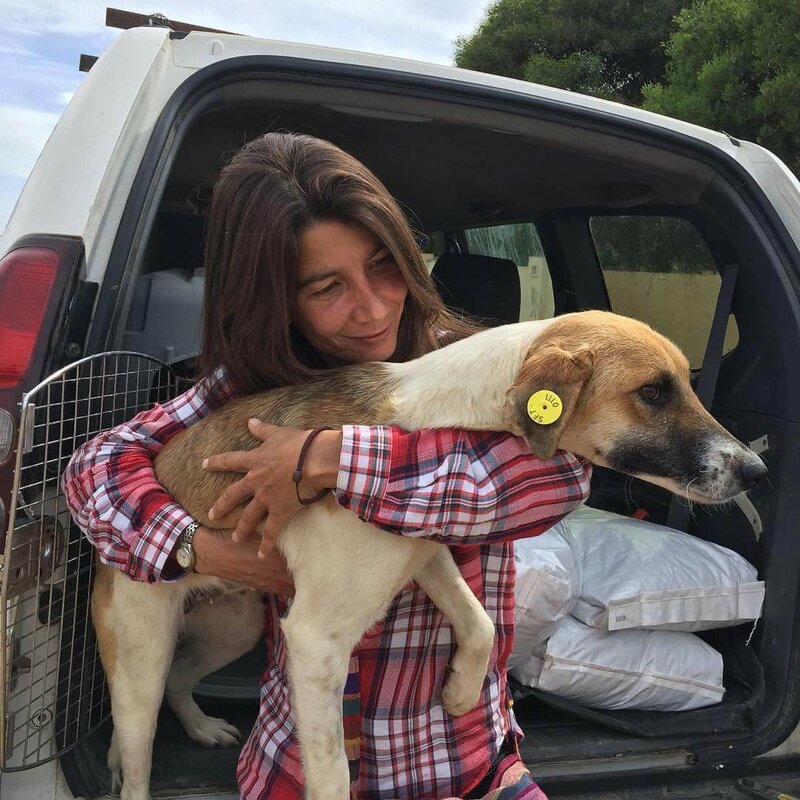 A special thanks to The Brigitte Bardot Foundation for their recent sponsorship of Project Hayat, helping us to TNVT female dogs this year. If your company, organisation, trust or foundation would like to do the same, please get in touch. Our ultimate goal is not only to eradicate rabies, but for the humans and animals in Tangier to live in harmony. If you are interested in becoming a volunteer or guardian, or would like SFT to come and talk about Project Hayat at your school or college, please fill out the form below and we'll be in touch as soon as we can. Project Hayat is the future. But we need your help. We receive no public funding and rely almost completely on voluntary donations. Can you help us make our dream a reality?